After booking a mobile DJ for a family function that turned out to be complete rubbish, company founder Mark Lee decided he could do better. With his vast musical knowledge and infectious personality, some equipment was sourced and the world of mobile discos was entered. Mark continued to work alone for a few years as his reputation spread through word of mouth and become the choice of many venues. With offers of two or three jobs per night coming through, it was clear an expansion of services was needed. With auditions set up, Mark hand picked a small group of DJs and taught them how to do things his way. With his new group of DJs Mark could effectively be in six places at once. This group of DJs became amobiledisco.co.uk. As the company expanded all the DJs remained hand picked and all taught to do things the Mark Lee way. This gave customers a consistency never experienced with any other provider. If you have seen one of the DJs, you have seen them all. With a firm focus on giving customers a night they will never forget, we continue to entertain many thousands of people a year. In 2006 we decided not to expand any further so as to retain the personal service that makes using the company unique. Customer satisfaction and customer service remains its No1 priority and that will never change. Astonishingly, prices remain realistic and we pride ourselves on being great value for money. If you decide to book one of our DJs and road-shows, welcome to the family. Its not everyday that you have to organise a DJ and we know what a minefield it can be. Hopefully we can give you some advice that will help you. Even if you decide not to book one of our DJs the following will be a great help to you. Best of all its free information. Will the DJ actually turn up? - The mobile disco industry is not regulated. Unfortunately, that means that anybody can start up with a small investment and some basic equipment. This means that you can often find single operators advertising in local papers at rock bottom prices. This is great news if you are willing to take a gamble. The odds of this person being worried about their reputation are small. The chances of them actually turning up are also very small. We tend to find many of these operators will give a very reasonable price to secure a booking. The trouble is that if they get another enquiry for the same night, they will quote a higher price than they did to you. If the customer accepts, I'm afraid you get let down. Even worse, not wanting to make it look bad, they will normally let you down on the night with a weak excuse. (My equipments been stolen, I have flu, I have had a crash on the way to your party) Unfortunately, we get many desperate calls of an evening from very distressed customers who have suffered from this. The lesson is simple, avoid single operators who have no back up plan. Each evening we have an emergency DJ reserved in the unlikely event that anything should happen to the one we have booked for you. Should they phone in sick or have a problem, we immediately send the replacement. (We have had to use this twice in 23 years, not a bad record by any stretch of the imagination) If you're not using one of our DJs, don't be afraid to ask the question to whoever you book what plans they have in place. Will the DJ be any good? - The same applies as per the previous answer, anybody can be a DJ and start a mobile disco. The only way to guarantee you get a good DJ is either a reputable company or word of mouth. The chances are, you have arrived on this website because somebody has recommended us. Around 90% of our work comes from repeat business or word of mouth. As sole supplier of entertainment to Europa Leisure and the Barcelona Tapas chain in London, our reputation is more important than anything. We want you to advertise our services for us once you become a customer. We got where we are today through word of mouth. Once again, if you decide not to book us, don't be afraid to ask the question, can they give you details of previous happy customers who would be happy to talk to you? We certainly can and will be happy to do so. What do you get for your money? 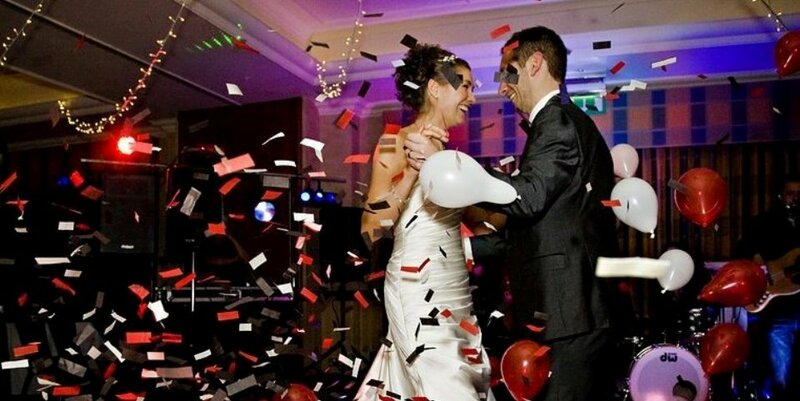 - It would be normal to get a DJ, sound system and a lightshow when you book any mobile disco. Whilst all the elements are important, the DJ's knowledge, personality and ability to please a crowd are paramount. Playing the right music at the right time is as important as using the microphone correctly. A DJ constantly on the mic all night will drive you crazy, not enough mic and you may as well have booked a jukebox. We pride our self on getting the balance right, being able to judge a crowd to play the right music and using the mic to encourage the party atmosphere. DJs carry a wide range of music from the 60s, 70s, 80s and 90s to the best party music and latest up to date dance and pop. The mobile discos are of the highest standard, offering you a choice of soft subtle lighting to the latest digital controlled lighting effects. We like customers to supply us with a list of their favourite records beforehand so we can make sure we have it there on the night. Just as before, if your booking somebody else, ask how they programme the night and what sort of things they do to get your party rocking. You should get a good idea of personality on the telephone so that's a good starting point.